I’m usually weary of a viewer that claims to be better than then Linden Lab’s. Alternative viewers usually claim improvements but seem to be very similar versions of the official Second Life™ viewer. However, when Hamlet drools over something it’s worth taking a look at, in this case it was Kirstenlee Cinquetti’s new Second Life Viewer dubbed "Kirstens Viewer". After a solid weeks use, Kirstens Viewer boasts significant improvements and features, making it a worthwhile alternative. The Second Life community is spread throughout many social media services. Regardless of the platform you’ll find residents communicating with one another outside of the grid. Plurk has become one of the many interesting social networks that has drawn a lot of attention from Second Life residents. Plurk is a timeline based micro-blogging service that allows threaded conversations. Think of Jaiku, but horizontal. In some aspects Plurk acts like a forum, the ability to respond and discuss topics leads to some very interesting conversations. The downfall is that responses are limited to 140 characters. Unlike some other micro-blogging services, Plurk easily integrates YouTube and Flickr into updates, making it more enticing to the Second Life user. There’s also an ability to format links and to send messages to a group of people privately or publically. You can also fan or friend me and Plurk and join in the Karma fun! The residents of Scion City were informed that the city will be closing at the end of January. Scion City, built by Millions of Us, is a beautifully designed series of urban sims centered around the Scion brand. 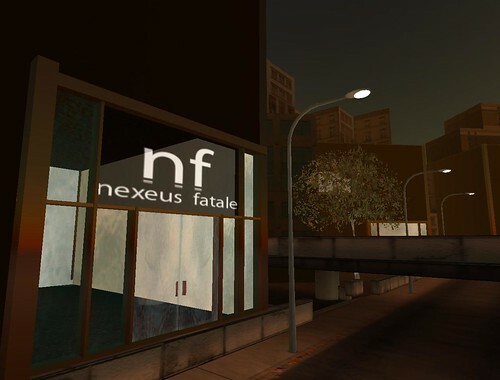 Since its conception it became a small community that brought together residents, a major corporation, and Second Life through giving loft spaces to active Second Life residents (such as yours truely.) The project attached several interesting components together, including a sci-fi machinima series SAND that took place in the future Scion City where archeologists were trying to find the city. I’ve always felt Scion City was one of those great projects that a group of community members backed. It’s interesting to see how a brand can extend into an idea. Scion City is open until January 31st and I recommend residents visit the area before it disappears into the digital void.